Day 2 of Chestnut Ridge's Halloween weekend! Focused on dressage. Features our famous costumed tests! Day 1 of Chestnut Ridge's Halloween weekend! Jumpers! On September 9,2017, we are celebrating our 12th Anniversary of the Saddle Up for Roswell at Chestnut Ridge Equestrian Center, 8am to 4pm. 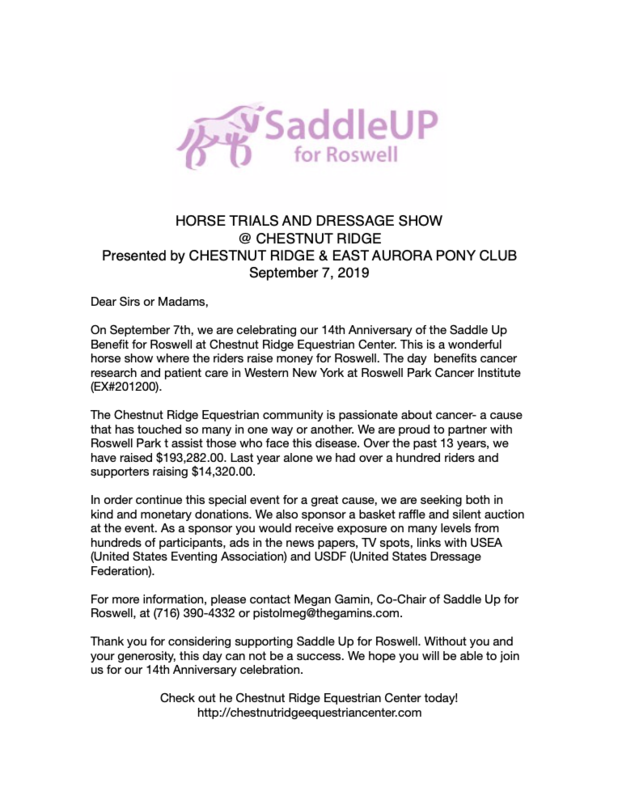 The Chestnut Ridge Equestrian community is passionate about cancer. A cause that has touched so many in one way or another. We are proud to partner with Roswell Park Cancer Institute to assist those who face this disease. Over the past 11 year, we have raised $151,497.00. 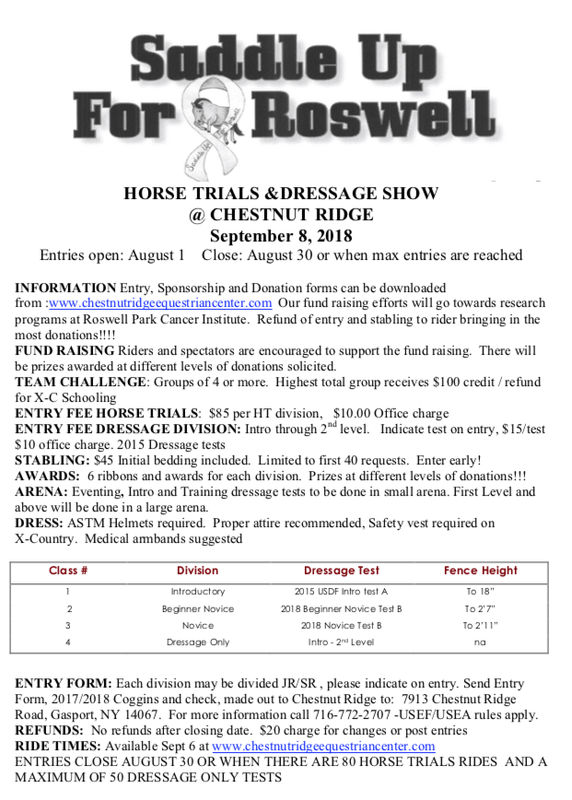 About 110 riders of all ages will compete in dressage, stadium jumping and cross country trials at the event as they raise funds in support of cancer research and patient care at Roswell Park Cancer Institute. The 3rd annual Saddle Up for Roswell Trail Ride. Come on Out and ride the trails to benefit Roswell Park. Ask your friends and family to sponsor your ride. Collect donations and there will be a prize for first place. 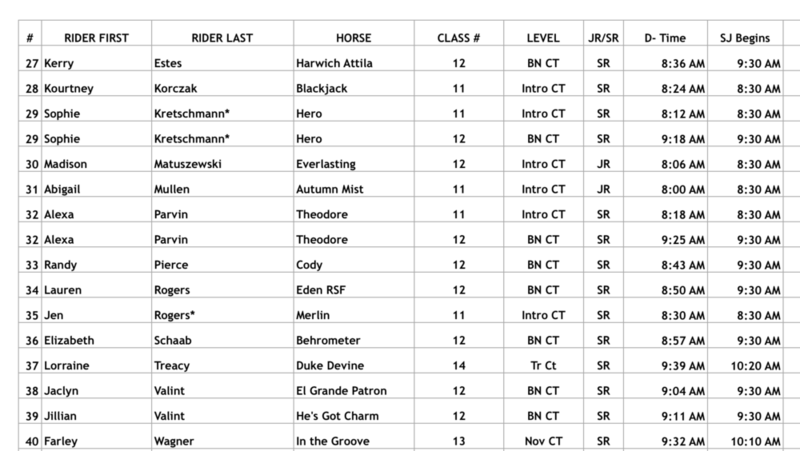 Attached is form to ride in clinic with Linda Todenhagen. check web site for details and ride times. Chestnut Ridge's first show of the year! Offering Introductory, Beginner Novice, Novice and Training Combined Test Divisions, as well as Dressage Only, and Jumper Only classes. 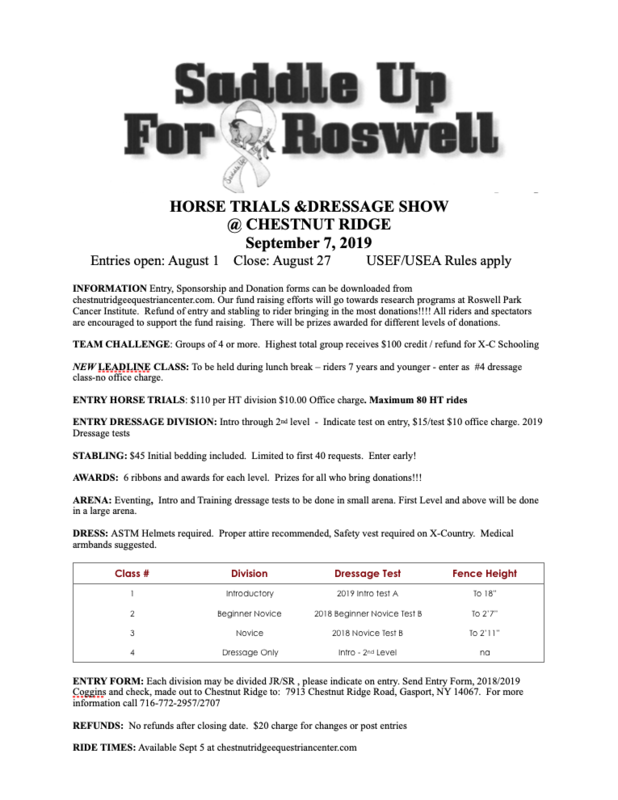 This trail ride is to involve everyone who would like to support Roswell, English and Western riders alike. We will start at Chestnut Ridge Equestrian Center and head to the Royalton Ravine. Helmets are encouraged. We are asking that you get sponsors for a minimum of $40. The person who collects the most donations for Roswell will receive a prize. Thank you all from the Saddle Up for Roswell Team! Fund raising efforts will go towards research programs at Roswell Park Cancer Institute. 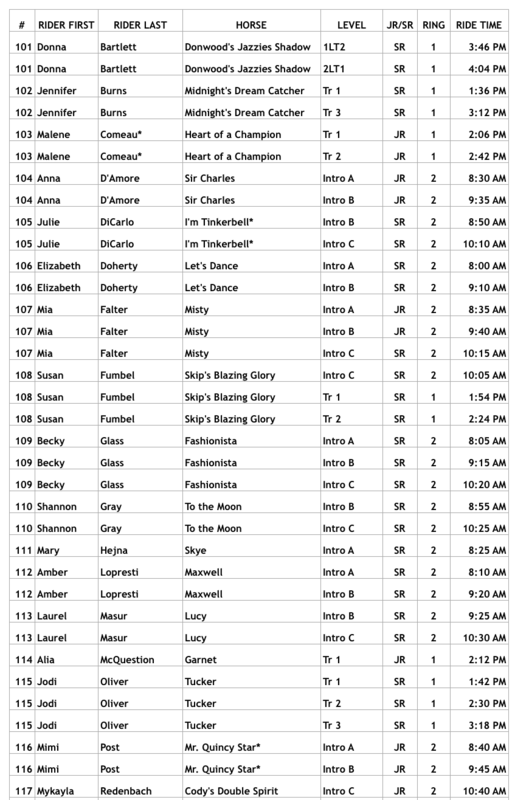 Refund of entry and stabling to rider bringing in the most donations!!! All riders and spectators are welcome to support the fund raising. There will be a free sheet of Basket Auction raffle tickets for each $50 raised.